Southfield, Mich. (March 8, 2017)— Samuel Spencer has been appointed Chief Financial Officer and Head of Mergers and Acquisitions for The Chemico Group (Chemico), one of the country’s largest, minority-owned, chemical management companies. Headquartered in Southfield, Mich., Chemico employs more than 300 people across North America and generates more than $100 million in annual sales. In this role, Spencer will be responsible for managing finance and accounting departments as well as all corporate mergers and acquisitions. Spencer will also oversee Information Technology. “We are excited to have Mr. Spencer on board. Mr. Spencer brings a wealth of knowledge and experience to our company. We truly believe that he is the right person for the job and will be a valuable player and strong addition to our leadership team,” said Leon C. Richardson, President and CEO, Chemico. Mr. Spencer has years of experience in investment banking, corporate finance, cost engineering and management consulting. 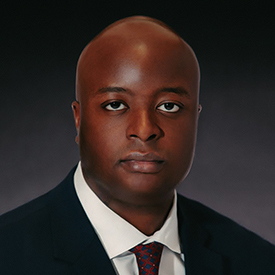 He most recently served as Vice President of Finance, Operations and Process at the Michigan Minority Supplier Development Council where he oversaw multiple operational areas while advising middle market companies on mergers and acquisitions. Prior to Chemico, Mr. Spencer held roles at Morgan Stanley’s Investment Banking Division, UBS Investment Bank, Dana Holding Corporation and A.T. Kearney. Mr. Spencer earned a Bachelor of Science degree in Chemical Engineering from Northwestern University (Evanston, IL), and received his Six Sigma Green Belt certification. He attended The University of Chicago Booth School of Business, where he received a Master of Business Administration degree specializing in Finance and Accounting. About Chemico: Chemico specializes in providing an integrated solution for the chemical lifecycle – from sourcing and procurement, to lean hands-on management, through environmentally conscious disposal. Founded in 1989, the organization has continued to experience positive growth year over year since its inception. Chemico serves customers across a variety of industries including automotive, aerospace, biotech and pharmaceuticals. The Chemico Group currently operates in more than 50 sites throughout the U.S., Canada and Mexico. Chemico customers include General Motors, Fiat Chrysler Automobiles, Ford, Toyota, Amgen, Delphi, Honeywell CR Bard and Maxion Wheels Mexico. For more information, visit www.thechemicogroup.com.